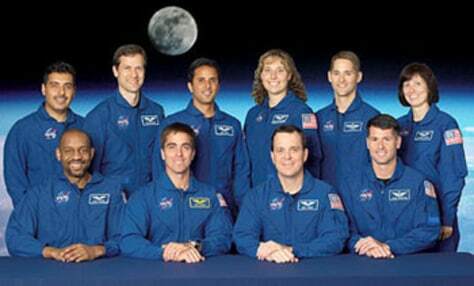 The 2004 astronaut candidate class: Seated, from left, are Bobby Satcher, Chris Cassidy, Ricky Arnold and Shane Kimbrough. Standing, from left, are Jose Hernandez, Tom Marshburn, Joe Acaba, Dottie Metcalf-Lindenburger, Jim Dutton and Shannon Walker. Not shown: Randy Bresnik.